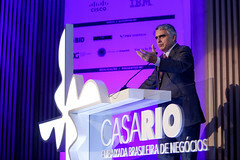 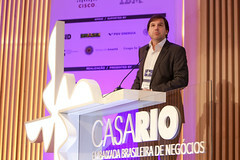 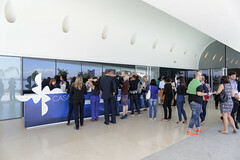 Around 400 sports sector leaders were gathered this Monday, July 25, at Museu do Amanhã, for the fourth sectorial conference of Casa Rio, the most extensive business program in the country. 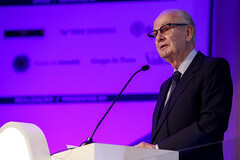 The event, themes “What Rio needs to become a sports capital”, brought together global sporting event sponsors, international sports marketing agencies, media outlers and authorities responsible for the development of national and international public policy. 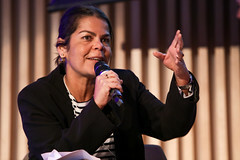 The opening to the event had remarks from the first female athlete to win a gold medal for Brazil, Jaqueline Silva; from the Marketing Director for Rio 2016, Mario Andrada; and mayor Eduardo Paes, who argued that the city already has the requisites to be considered a sports hub. 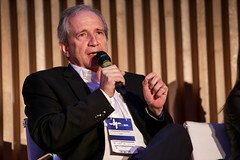 Opening the first session, Gary Zenkel, president of NBC Olympics, gave his views on investments towards sport, discussing the broadcast operation for the Olympics. 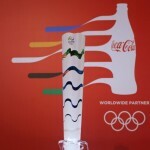 The expectations for NBC is that Rio 2016 will provide the highest prime time ratings in Olympic history, and that number will be even bigger in streaming services. 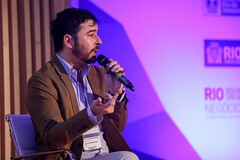 Following that, Pedro Navio, head of Latin America for Red Bull, gave a future flash on the theme “what makes a city a global sports hub” and pointed out examples of how long term planning has led to other cities to becoming such. 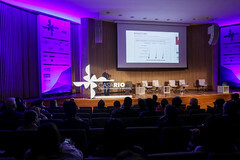 According to Navio, Rio has the required infrastructure to become a global hub, with the right long term planning, focused on specific segments instead of trying to cover everything. 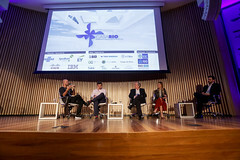 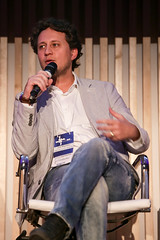 The first panel also had the presence of Carlos Eduardo Ferreira, CEO of CSM Brasil; Alan Adler, CEO of IMM Sports & Entertainment; and José Colagrossi – Executive Director, IBOPE Repucom. 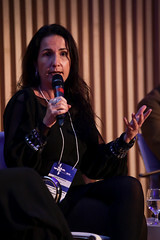 The panelists reminded that, in the past four years, Rio has been the most important sports city in the world, with the World Cup and the Olympics, and that the work will lie in keeping that status. 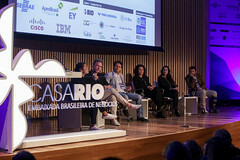 The panel alson raised the point that Rio is the decisory center for most of the sports in the country, and proximity to sponsor companies create countless business opportunities. 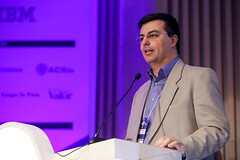 The second session, which dealt with “business opportunities created by a sports hub”, began with a keynote speech by Ricardo Fort, VP of Global Assets and Partnerships for Coca-Cola. 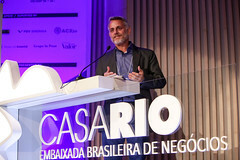 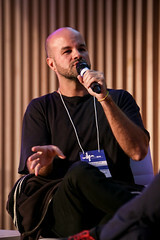 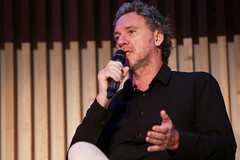 Fort stated that Rio de Janeiro would need to invest throughout a 20-year period in promotion to match the free publicity gained from the Olympics and the World Cup. 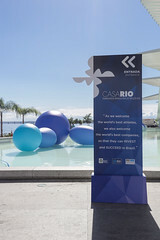 Thanks to that, Rio is regarded as an attractive option for sponsors and major events. 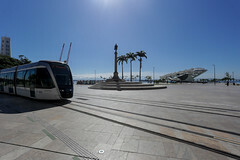 The discussions that followed focused on the legacy for developing other sporting activities in the city using the new infrastructure. 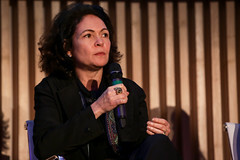 The panelists believe that brands see the potential the city has to project towards not just a considerable locla market, but to the global market. 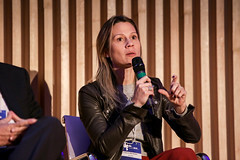 International sports leagues – such as UFC, NBA and WSL – have considered Brazil as a priority market due to that projection. 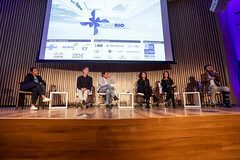 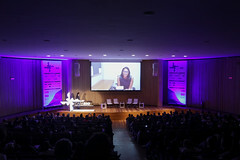 Featured in the second panel Joaquim Monteiro de Carvalho, president of Empresa Olímpica Municipal; Fernanda Lobão, Planning and Communication Director at Go4it; and Luis Carlos Franco, Director General at Ogilvy & Mather. 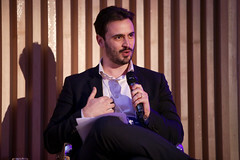 SESSION 1: WHAT DOES IT TAKE TO CREATE A SPORTS HUB? 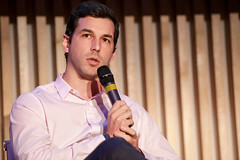 SESSION 2: WHAT BUSINESS OPPORTUNITIES EMERGE FROM THE CREATION OF A SPORTS HUB?